Like your baby's crib, a car seat is one of those essential baby products. And unfortunately, like a crib, a car seat can be rather expensive. That makes it important to choose the right one, especially as you will have to get another car seat as your baby grows up into his toddler and preschooler stages. Understanding which types of car seats are available can make it much easier to choose which car seat is best for your child. Instead of choosing a brand or style of car seat, your first decision when choosing a car seat should really be the type that is best for your child. You are going to have to buy more than one car seat as your child gets older and bigger, but by choosing the right combination of car seats, you can likely get away with buying just two. On the other hand, if you make poorer choices, you may have to buy three or even four car seats until your child is eventually ready for regular seat belts. Couldn't you get the same utility from a convertible car seat (used rear-facing for your newborn and infant, then forward-facing for your toddler) and a combination seat for your older child? You could, but many experts recommending starting with an infant only seat. If you were going to go that route, you could even use one of the newer 3-in-1 convertible car seats, such as the Eddie Bauer Deluxe Convertible 3-in-1, that can be used both rear facing and forward facing with harness straps and then as a booster seat. 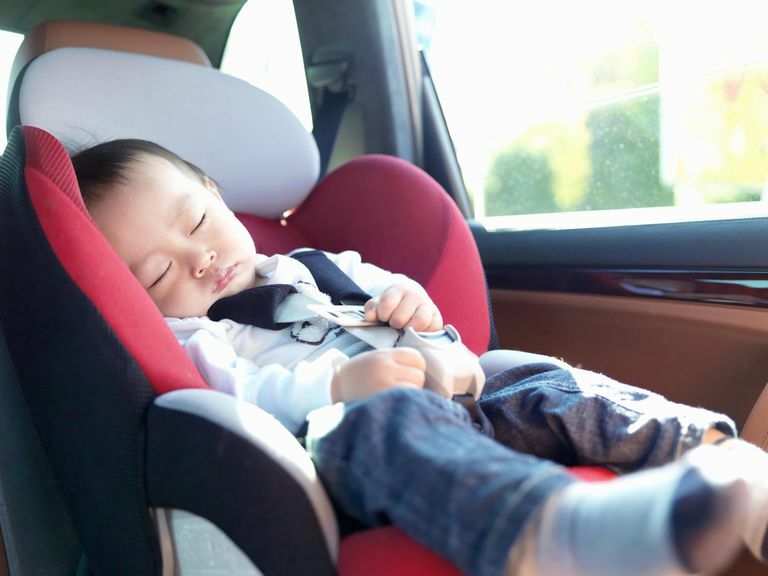 If you aren't careful, you could end up needing to buy an infant-only seat, a convertible car seat, and a booster seat as your child passes the weight or height limits of the car seats that you buy. The Britax Marathon convertible car seat is a very popular model, but it's weight and height limits as a booster seat are only 65 pounds and 49 inches, which most kids reach before they are ready for regular seat belts. That means you will have to get another booster seat for your child when he outgrows his Britax Marathon seat. For older kids, choose a car seat with high weight and height limits that is easy to use and will last your child as long as possible. Remember that the AAP states that "no one seat is the "best" or the "safest," so choose a seat that fits in your car, meets your child's height and weight requirements and is easy to install. Register your car seat so that you will be notified of any car seat recalls. Rear-facing until your infant is two years old or outgrows the limits of your rear-facing car seat, although since it is thought to be safest to continue rear-facing until age two years, consider moving to a rear-facing convertible car seat with high weight and height limits if you have a larger infant or toddler that outgrows his car seat too early. In a booster seat until he is ready for seat belts (when he is 4 feet, 9 inches tall, between 8 and 12 years old). Avoid common car seat mistakes, such as putting harness straps or harness chest clip in the wrong position, not using the LATCH system correctly, taking a child out of his booster seat and putting him into regular seatbelts before he is ready, or letting kids ride in the front seat before they are old enough. Avoid reusing a car seat after an accident, especially a moderate or severe accident. Follow your state car seat laws, but where they are lacking (some states say it is okay to take kids out of a car seat at age 4 or 5, for example), follow the recommendations of the AAP and keep your kids in a booster seat until they are about 4' 9" tall. Do some research to find the right car seat for your child with special needs. Avoid dressing your child in a heavy coat in the winter under her harness straps in her car seat. Consider visiting a car seat inspection station to make sure you are using your child's car seat correctly.